Well it's snowing again today in CT. Yup, again. Will it ever be spring? I am starting to feel like spring has been cancelled this year! I spent the morning dashing out in between the snow flakes to swatch the Nicole by OPI Coca-Cola lacquers though, so there was a bright spot to my day. Just to mention, any "bubbles" you see on the polish are actually melting snowflakes, sorry about that! First up we have a cheery purple creme inspired by Fanta Grape, Nicole by OPI In Grape Demand. In Grape Demand is a saturated pinky purple with some almost "radiant orchid" tones to it. It feels kind of bright, but also rich and jewel-toned. This is two easy coats of In Grape Demand. It applied well and the formula was a nice consistency. 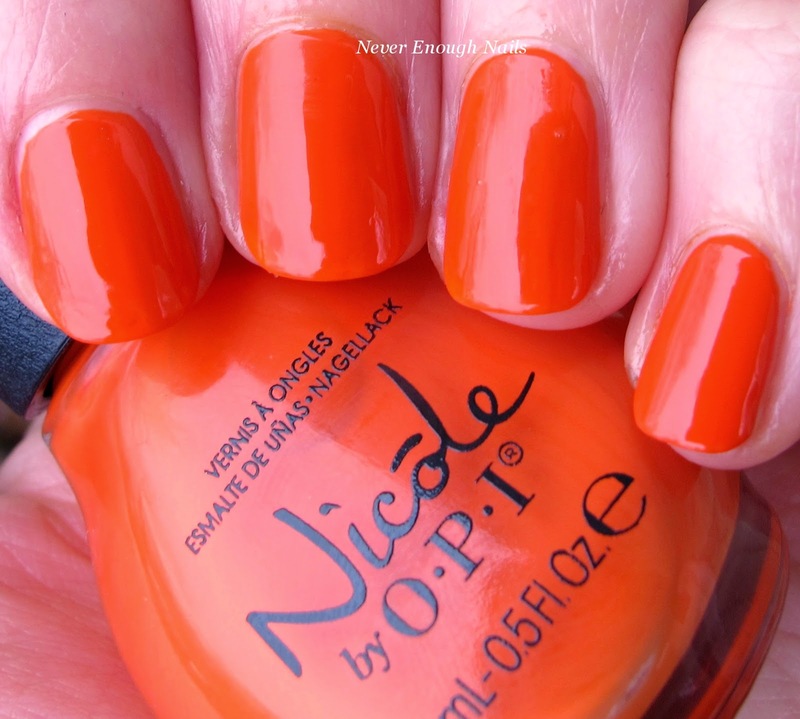 Nicole by OPI The Look is Orange is the polish inspired by the "sweet citrus pop of Fanta Orange". The Look is Orange is a great vibrant orange creme with some hints of reddish orange. It looks nice and juicy. Like In Grape Demand, it's kind of bright, but it's somehow richer feeling than a standard bright/neon polish. This is three coats of The Look is Orange. The formula was good and easy to apply. I had a little bit of VNL after two coats, but three was the magic number. 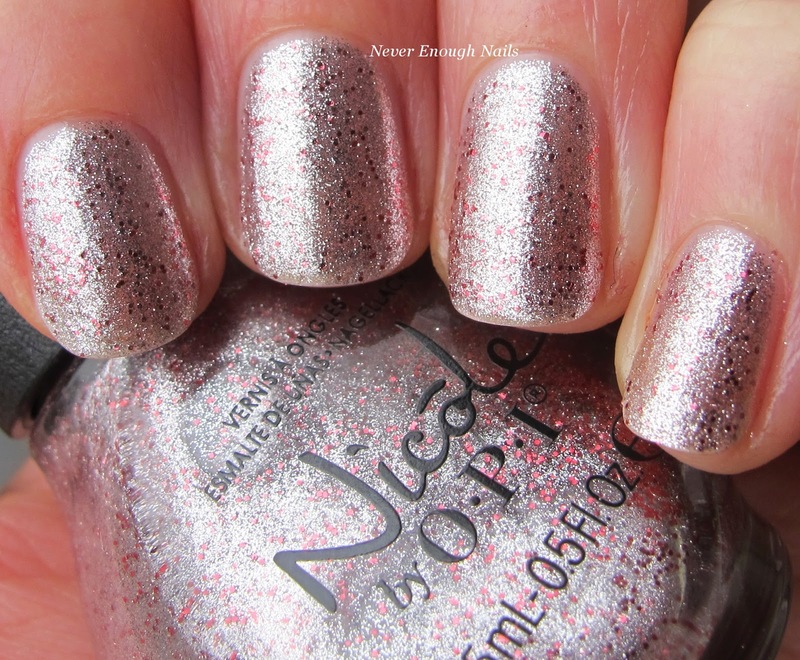 Nicole by OPI DC Lover is, of course, the Diet Coke polish. It's a super shiny silver foil with metallic red glitters scattered throughout. It is really reflective, so my camera had a hard time really capturing it, especially in today's difficult lighting conditions. The red glitter pops more in person for sure. This is three coats of DC Lover. It was sheer with the first coat, but pretty opaque after three coats. I used a nice thick top coat over this one to help the red glitter look smooth. 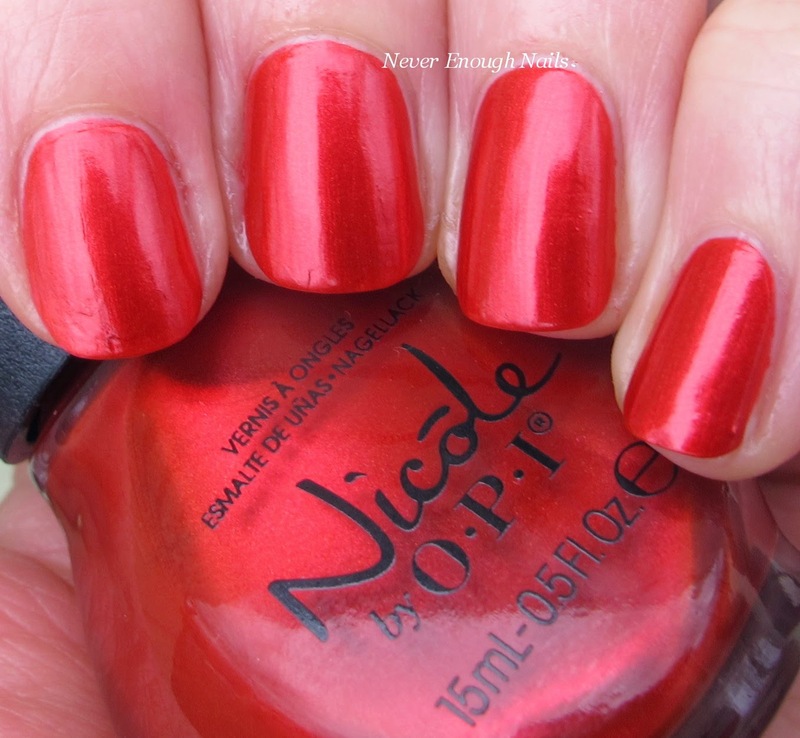 This classic red shimmer is Nicole by OPI Always a Classic Coca-Cola. 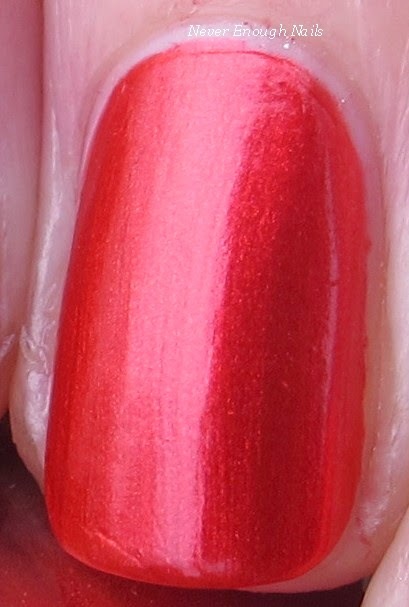 I always associate this kind of metallic red shimmer with Christmas, so this will definitely be great for that. It's a good true red, not too orange leaning, not too pink leaning. This is three thin coats of Always a Classic Coca-Cola. You could most likely to do slightly thicker coats and have full opacity. The formula was good, maybe a little thin, but not problematic. 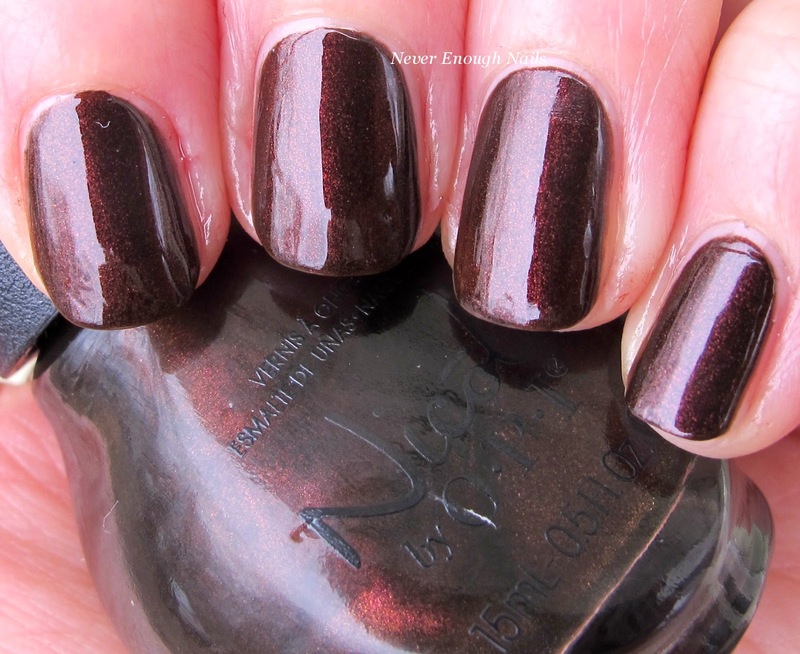 Nicole by OPI Zero is My Hero is a deep burgundy brown shimmer. Definitely reminiscent of the color of Coke, or Coke Zero in this case. 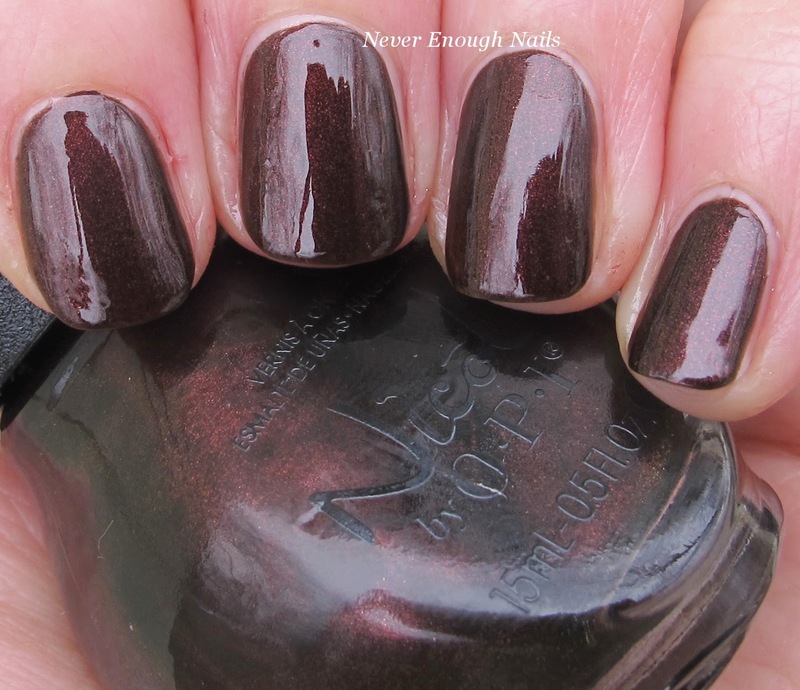 Zero is My Hero is a pretty chocolate-toned vampy, great for fans of this kind of color. This is three coats of Zero is My Hero. I had just the tiniest bit of VNL and unevenness after two coats, but the third made it look rich and perfect. The formula was good, no troubles to report. Now we have come to my favorite of the collection, coincidentally inspired by my favorite soda of the bunch! 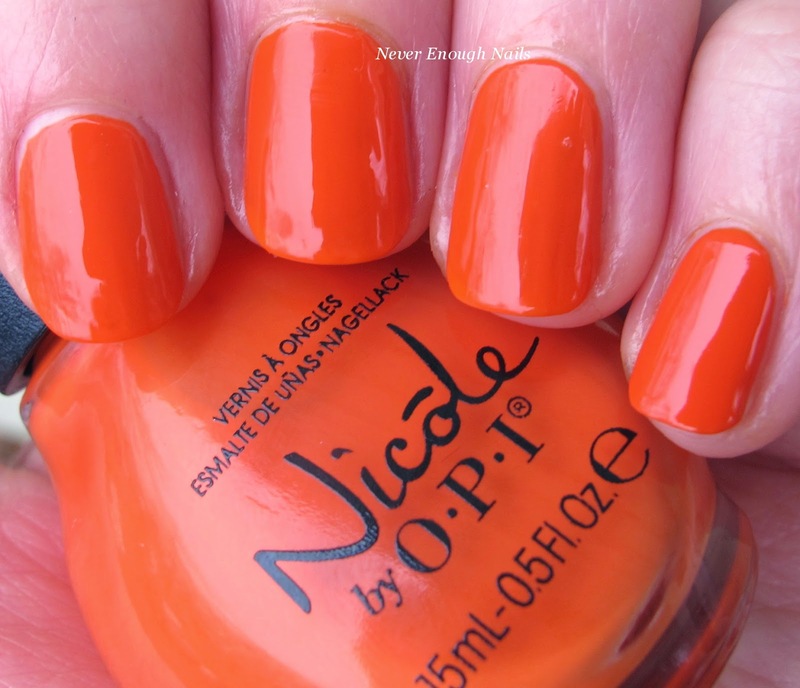 Nicole by OPI Seriously Citrus is the Sprite polish of the collection and the only glitter topper. I love how this polish feels just like Sprite, the glitters are bubbly and the green, blue and white colors are refreshing! The metallic green, blue and white glitters look really pretty all together in the clear base. 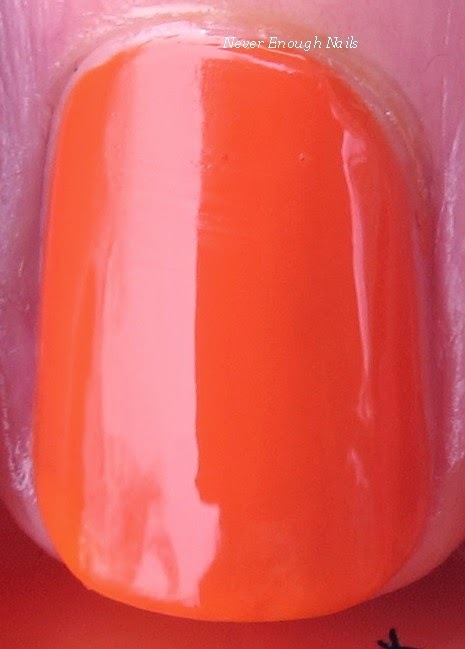 This is one coat Seriously Citrus dabbed over Nicole by OPI I Shop Mintage. I found this glitter topper to be very easy to apply. I dabbed it on to get the glitters nicely spaced out, but it seemed like it would apply fine with regular brushstrokes too. 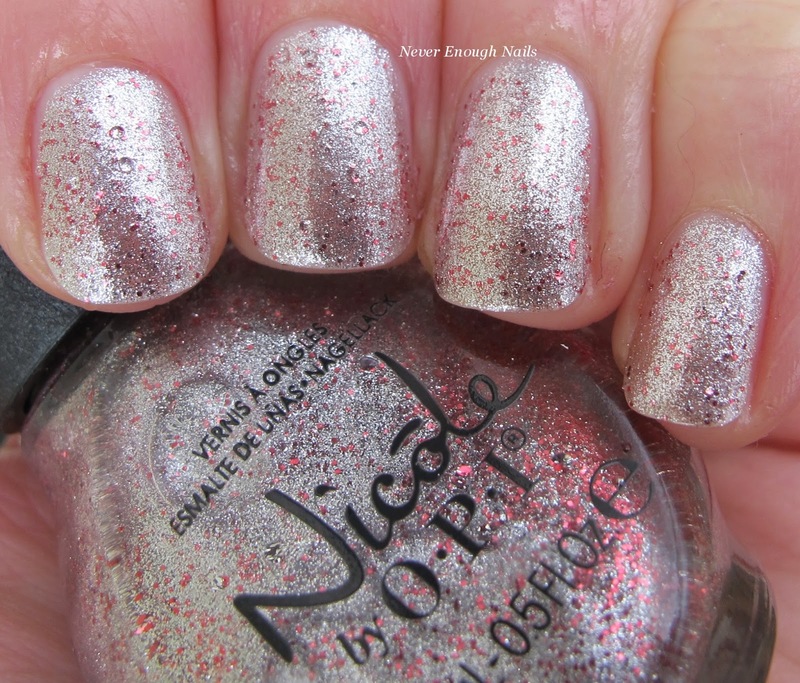 The formula was great, better than a couple of Nicole by OPI's other glitter toppers from the past. Overall, these polishes definitely invoke thoughts of the sodas that inspired them. My favorite is Seriously Citrus with In Grape Demand as a close second. Now I need to go pick up some Sprite!! 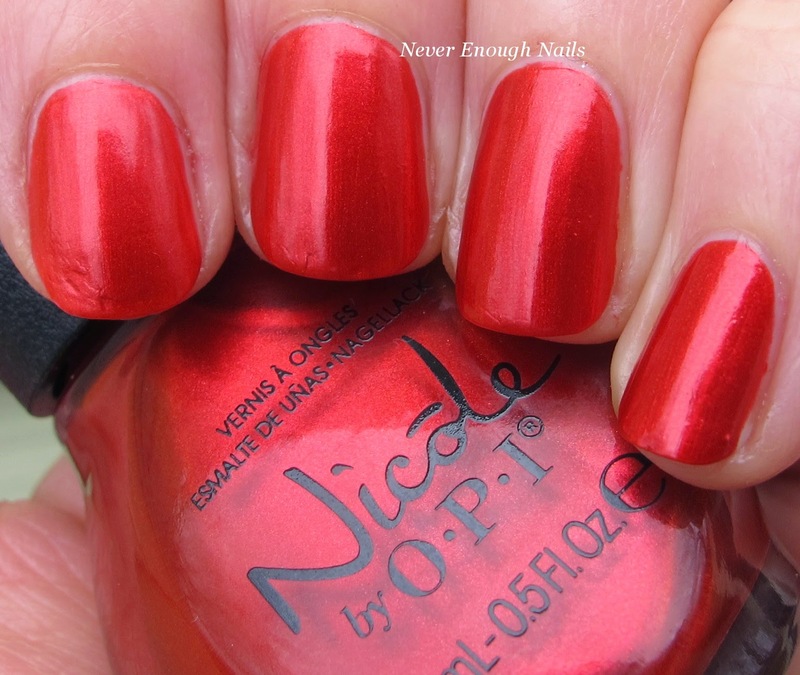 The Nicole by OPI Coca-Cola Collection is available now at select CVS, ULTA Beauty, Kmart, ShopKo, Harmon, and Giant Eagle locations in March 2015 for $6.99. Available in Canada at select Walmart and Jean Coutu locations for $10.99.